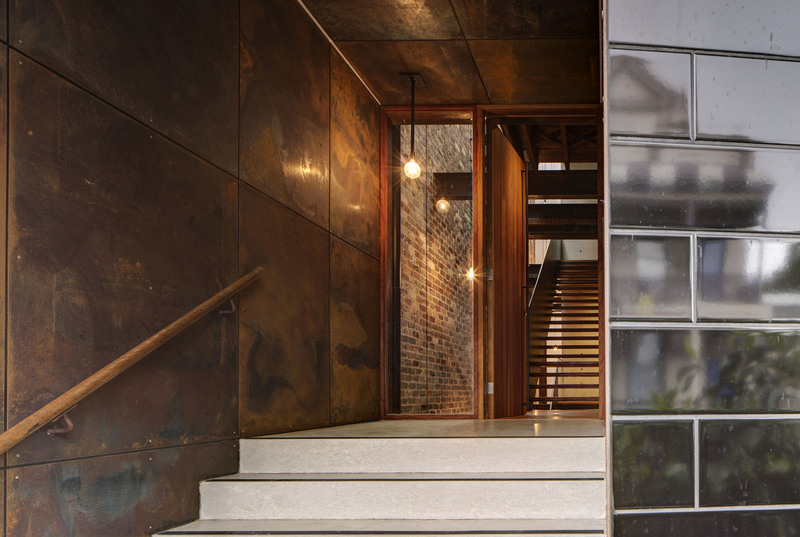 The industrial history of Balmain sets the backdrop for the modern, rustic home designed by Carter Williamson Architects. The studio has continued the historical narrative through the use of weathered steel, brick and timber, and exposed joists and beams. The Mill carefully pays homage to the industrial precursors of its setting, whilst updating the material palette to bring the aesthetic into the modern realm. 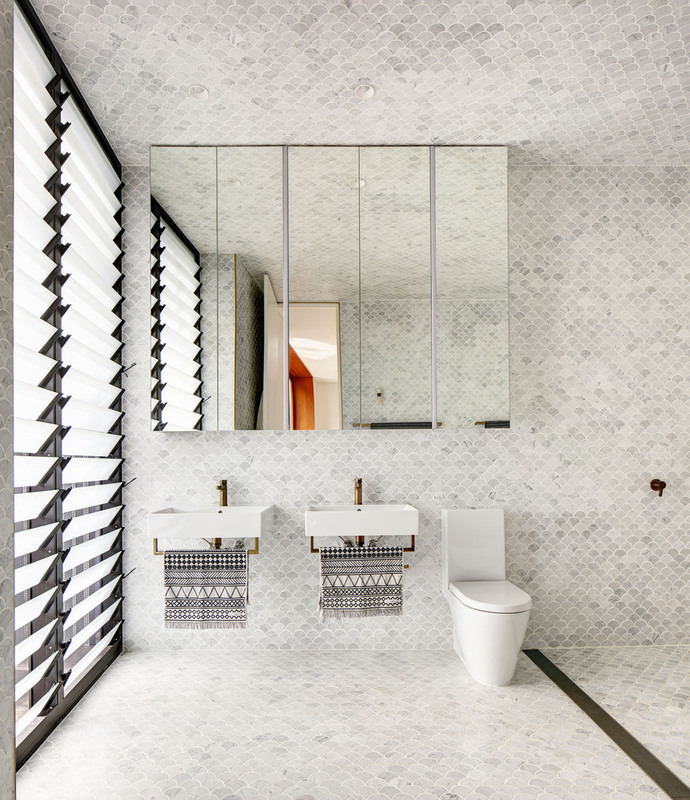 The foundations of ‘102 The Mill’ begun with the restoration of a disused warehouse in the Sydney suburb of Balmain. Not content with starting the development afresh, Carter Williamson Architects sought to salvage many of the industrial materials of the site. The sustainable approach to reuse meant that the structure, which had been approved for demolition, could dictate the style and foundation for the project. 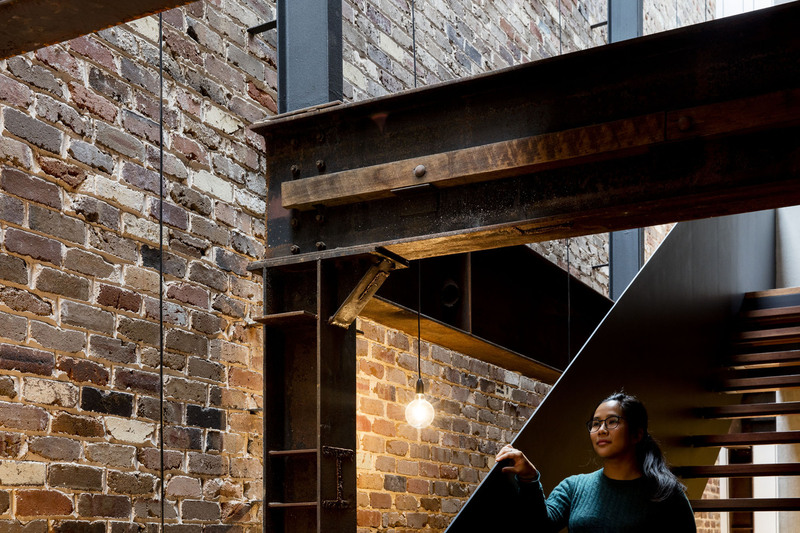 The re-use of structural steel, including heritage BHP hot rolled sections, timber flooring, the ground floor slab, and brick walls, meant the embodied energy of these materials continues to be locked up. The studio's manifesto is that tiles are like think bricks, and bricks are like thick tiles. This has played an important part in the choice of black tiles with a rich sheen as the exterior cladding. The glossed metallic aesthetic that results, draws the on the rustic interior palette, but with a modern sophistication. 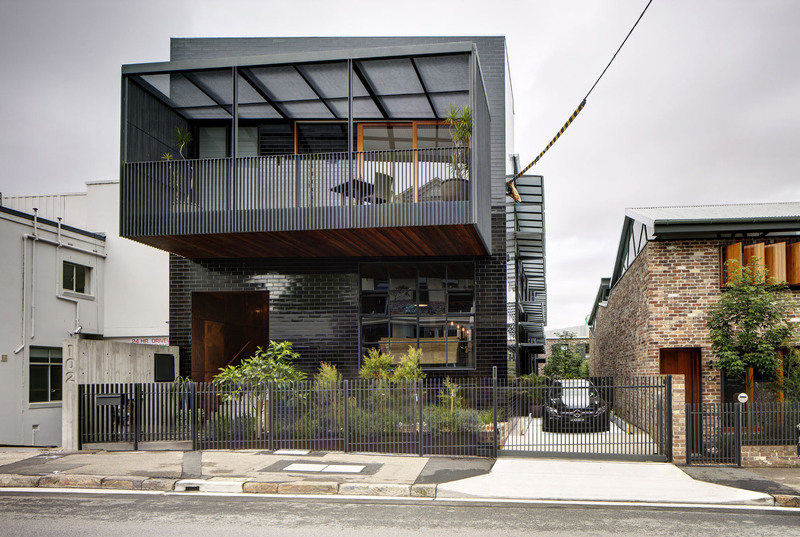 The exterior palette and large cantilevered balcony update the warehouse into a housing typology, and extend a welcoming presentation to the street. The major challenge for the studio was respecting the industrial style of the buildings shell, while creating a comforting homely environment for it’s occupants. 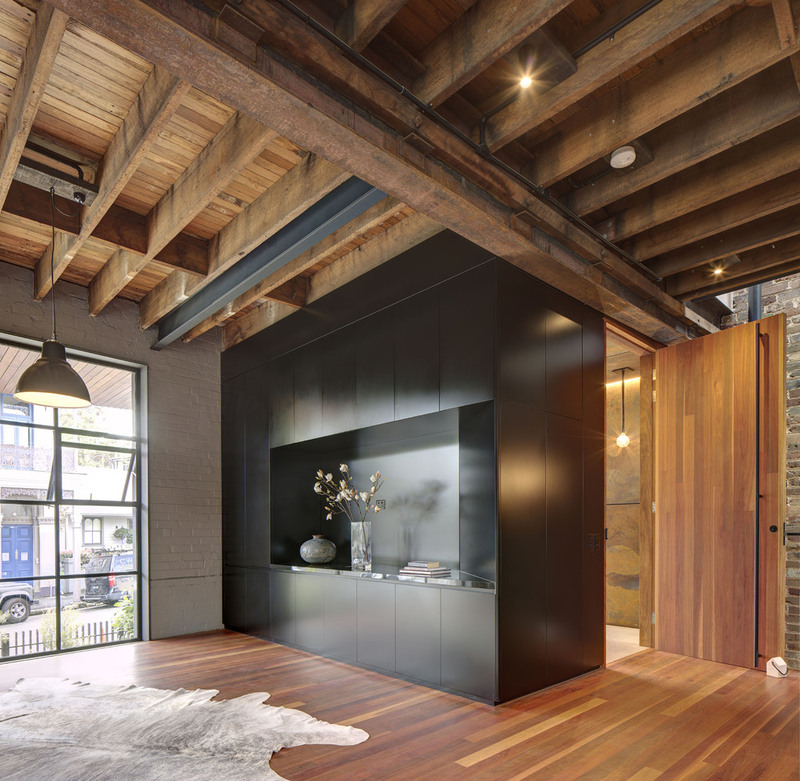 102 The Mill is one of four conversions undertaken in this Balmain former warehouse, utilising the foundations and skin of the former structure as a starting point for the residence. The huge volume of the warehouse meant that the studio could create spaces with varying qualities and volumes. This includes a towering 12m void that houses the staircase and funnels light into all four levels. The layout of the residence is separated in to three main zones from east to west. The staircase provides vertical circulation, a services core operates through the centre, and a living zone looks outwards to the street. The layout gives a hierarchy of light, allowing maximum daylight and ventilation to the most used areas. The interior material palette has a strong focus on maintaining the industrial aesthetic. A three-storey recycled brick wall forms the boundary of the stairwell, with exposed beams and joists celebrating the buildings history. 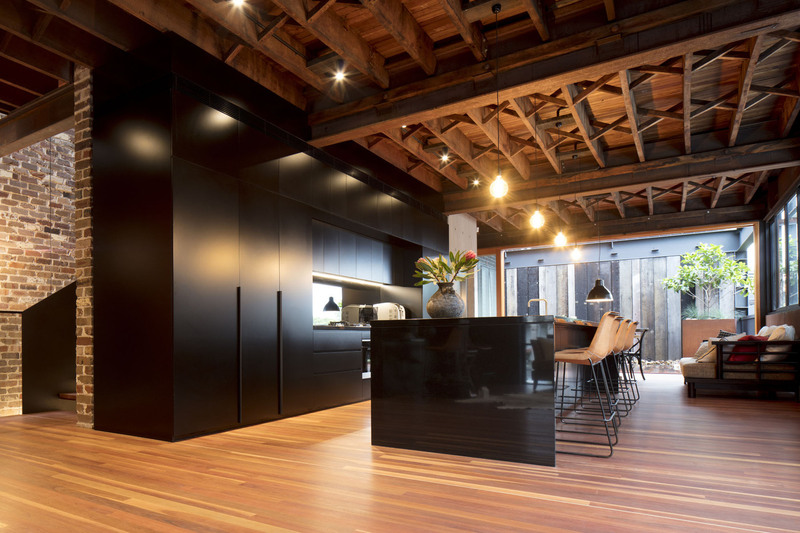 Timber is used extensively through the interiors, with a mixture of rustic joists and beams, coupled with newer floorboards and joinery. Many of the materials have been salvaged and recycled from the former life of the warehouse. The new visitor's centre to the Waitomo Caves was build whilst the tourist attraction was still open. An innovative coastal refurbishment where the use of timber contributed to an environmentally sustainable development while respecting the site's heritage significance.